If you missed the 2nd Annual CRUSH Event on September 10, fall brings another amazing opportunity to taste all 34 member wineries for one low passport price. 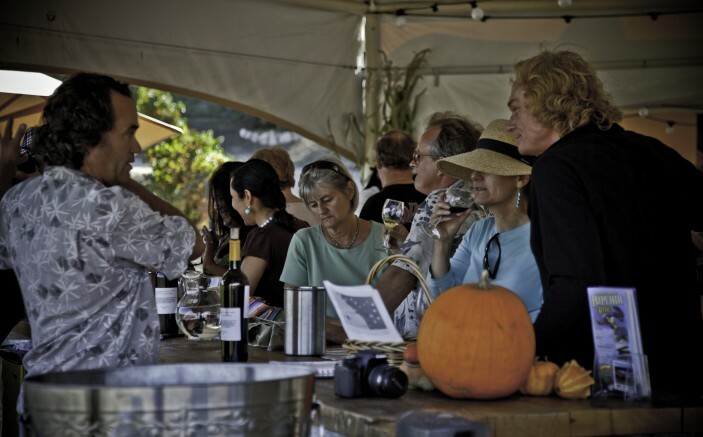 The Harvest Celebration Weekend is a much-anticipated annual tradition in Temecula Valley Wine Country. Taking place from 10am – 4:30pm on Saturday and Sunday, this two-day passport event is the perfect wine-tasting day trip or weekend getaway for couples, friends, and groups. Wine-lovers from Los Angeles, San Diego, Orange County, Palm Springs, and the Inland Empire make the short drive every year to wine country to enjoy meeting winemakers and to sample wines not yet available to the public. Simply purchase a passport ticket for a self-guided tour of all the Temecula Valley wineries; each stop includes wine-tasting flights, delicious small plates of food, and a special scarecrow Facebook contest you can participate in! The winner will receive four tickets to the World of Wine 2012 event. *Pre-sale tickets are available now until September 30th. If you purchase your 2-Day Tickets now, you’ll save $10! $89 per person (regularly $99) This event sells out early so order your tickets today! For more information, please visit our Temecula Valley events page. Please note, “Sunday Only” tickets and “Designated Driver” tickets are also available at reduced prices. Also, consider booking a shuttle to remove any worries about driving on your tour. You can easily purchase your shuttle service and Harvest tickets directly with The Grapeline Wine Country Shuttle. Click here to reserve and purchase now! Thinking about spending the night? Enjoy the Harvest Celebration Weekend with an overnight stay at Embassy Suites, Temecula. Package includes tickets for two to the Harvest Celebration. *Limited number of reservations available, so book today! No Saturday Only tickets available. All ticket reservations are Will-Call. Tickets are non-refundable. Special Offers and Discounts may not be combined.